Can Landscaping Really Improve Your Home’s Value? Of course it can! But like any other home improvement there are bad, good, and better ways to go about it. Landscaping is a great way to make a good first impression with buyers, which will go a long way to putting you at the high end of the sales price range in your neighborhood. People are willing to spend more for a house if they like it more. Think about it, the difference between $2,500/month and $2,600/month is roughly $15,000 in sales price. Would you be willing to pay the extra $100 bucks a month to get the “awesome-beautiful” house over the “good” one? 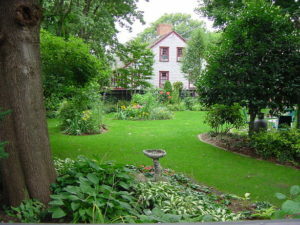 However, there is only so much that landscaping can do for the value of your home. First and foremost you should make these improvements for your own enjoyment. While they may likely increase the ultimate sales price of your home, it might not be more than you spent on the landscaping itself. One thing you should be considering is the “golden rule,” and trying to make sure that whatever you decide to do with your landscape, it is not imposing too much on your next-door neighbors. We’ll talk about how your neighbors could be affected as we look at the different ways to improve your home’s landscaping. How About Adding a Private Outdoor Structure? Outdoor structures such as gazebos and pergolas have been said to improve the value of a home by as much as 50% of the installation cost. Now, that’s a pretty good return. A gazebo is a great way to separate your yard from the house and can really enhance the experience for outdoor dinners or garden parties. How can installing one of these structures affect the neighbors? If your Pergola has a direct line of site into your neighbors backyard or into their home, it can really detract from their own sense of privacy. This is especially uncomfortable if you host a lot of outdoor events. The fix is simple: Landscape strategically. You can place your gazebo or pergola in a location where it doesn’t have a clear sight of your neighbors, or you can put in some shrubs or trees to block the view. If you pull it off, everyone wins! You have the value added gazebo, and your neighbors have their privacy. Outdoor lighting is a great way to increase your home’s value. You and your potential buyers will love having the homes most notable outdoor features illuminated. 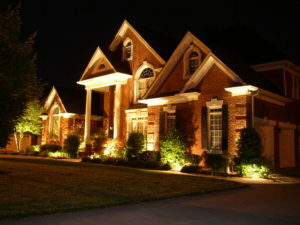 Also, outdoor lighting can help deter trespassers and would-be intruders. According to the National Association of Home Builders, 90% of homebuyers say outdoor lighting is either highly desirable or an absolute requirement. But again, don’t forget about the neighbors. It can be tempting to have bright outdoor lights pointing away from the house to scare away potential burglars. But, those impossibly bright lights can be the bane of your neighbors existence if it happens to be directed at a window or is simply reflecting off of their TV screen. If you do decide to install outdoor lighting, the best choice is some tasteful landscape lights with warmer color temperature than you will get from those bright security lights. They are much more visually appealing as well. Use some strategically placed directional lighting to illuminate pretty bushes, trees, and walkways. Not only will this help your homes appeal and value, but the extra lighting will make your home a little safer as well. If these are advantages that you can appreciate than trees add a lot of value for a relatively small cost. Because a lot of the benefits of trees are more pronounced in larger, more fully-grown trees, they will obviously add more value than small scrappy ones will. For your neighbors, trees can be either good or bad. It’s a good idea to talk about your plans with your neighbors first. They might not be pleased by having to constantly rake up leaves from your tree in their yard. Or, your neighbors might have gardens that won’t benefit from the extra shade. But let’s not forget, trees are great! As long as you try to stay away from the property line, your neighbors will most likely not mind a few extra trees in your yard. These are just a few of the ways you can really punch up your landscaping and improve the value of your home. When you’re selling your home, first impressions are very important and can translate into real money. So it’s definitely worth thinking about making a few landscape updates before putting your house up for sale. 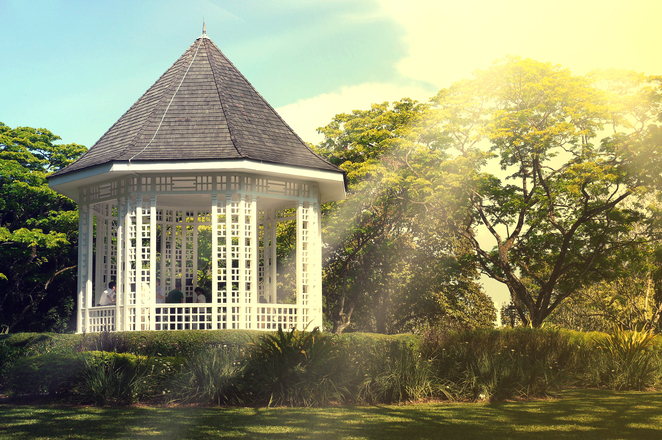 Posted in Real Estate, selling and tagged gazebos, get more for house, home value, how to increase house value, improve curb appeal, increase home value, landscaping ideas, outdoor lighting, planting trees, tips for selling fast.